Are you a dependent of someone in the military? What is your work number? What type of income is this? Where should we deposit your funds? What is the name of your bank or credit union? 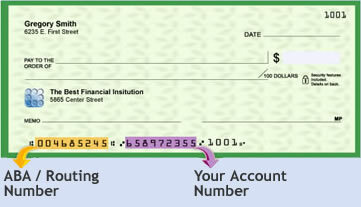 What is your bank's ABA / Routing Number? Notice: A Consumer Loan provides the cash needed to meet your immediate cash flow problem. It is not a solution for longer term financial problems for which longer term financing may be more appropriate. You may want to discuss your financial situation with a nonprofit financial counseling service in your community. AGREEMENT TO ARBITRATE ALL DISPUTES: By signing below and to induce us, EZ LOANS to process your application for a Loan, you and we agree that any and all claims, disputes or controversies that we or our servicers or agents have against you or that you have against us, our servicers, agents, directors, officers and employees, that arise out of your application for one or more Loans, the Loan Agreements that govern your repayment obligations, the Loan for which you are applying or any other Short Term Loan we previously made or later make to you, this Agreement To Arbitrate All Disputes, collection of the Loan or Loans, or alleging fraud or misrepresentation, whether under the common law or pursuant to federal or state statute or regulation, or otherwise, including disputes as to the matters subject to arbitration, shall be resolved by binding individual (and not class) arbitration by and under the Code of Procedure of the National Arbitration Forum ("NAF") in effect at the time the claim is filed. This Agreement To Arbitrate All Disputes shall apply no matter by whom or against whom the claim is filed. Rules and forms of the NAF may be obtained and all claims shall be filed at any NAF office, on the World Wide Web at http://www.arb-forum.com, or at "National Arbitration Forum, P.O. Box 50191, Minneapolis, Minnesota 55405-0191." If you are unable to pay the costs of arbitration, your arbitration fees may be waived by the NAF. The cost of a participatory hearing, if one is held at your or our request, will be paid for solely by us if the amount of the claim is $15,000 or less. Unless otherwise ordered by the arbitrator, you and we agree to equally share the costs of a participatory hearing if the claim is for more than $15,000 or less than $75,000. Any participatory hearing will take place at a location near your residence. This arbitration agreement is made pursuant to a transaction involving interstate commerce. It shall be governed by the Federal Arbitration Act, 9 U.S.C. Sections 1-16. Judgment upon the award may be entered by any party in any court having jurisdiction. This Agreement To Arbitrate All Disputes is an independent agreement and shall survive the closing, funding, repayment and/or default of the Short Term Loan for which you are applying. AGREEMENT NOT TO BRING, JOIN OR PARTICIPATE IN CLASS ACTIONS: To the extent permitted by law, by signing below you agree that you will not bring, join or participate in any class action as to any claim, dispute or controversy you may have against us or our agents, servicers, directors, officers and employees. You agree to the entry of injunctive relief to stop such a lawsuit or to remove you as a participant in the suit. You agree to pay the costs we incur, including our court costs and attorney's fees, in seeking such relief. This agreement is not a waiver of any of your rights and remedies to pursue a claim individually and not as a class action in binding arbitration as provided above. This agreement not to bring, join or participate in class action suits is an independent agreement and shall survive the closing, funding, repayment and/or default of the Consumer Loan for which you are applying. If we extend credit to a customer, we will consider the bank account information provided by the consumer as eligible for us to process payments against. In addition, as part of our information collection process, we may detect additional bank accounts under the ownership of the consumer. We will consider these additional accounts to be part of the application process. I authorize EZ Loans, Inc. to perform credit checks, searches and/or analysis of data in certain state-required databases, as well as other commercially available and/or proprietary databases, in order to identify consumers who have a record of transactions with certain lending institutions to verify truthfulness or accuracy of my information, and/or to determine whether or not I qualify for a loan. By selecting the Apply Online below, you are acknowledging you have reviewed and accept the schedule of fees stated above. I have read and understand and accept the terms of the Consent for Electronic Records. WARNING: This loan is not intended to meet long-term financial needs. This loan should be used only to meet short-term cash needs. The cost of your loan may be higher than loans offered by other lending institutions. Making payments or checking account status has never been easier! Apply Online now (Delaware residents only). You can also download an application to mail in. Residents outside of Delaware can Apply Online here. © 2015 E.Z. Loan$, Inc. All rights reserved. *Approval and on-time first month interest payment required. **Each person referred must be approved and make their first interest payment on time.